Homemade Hollandaise sauce doesn’t have to be intimidating. 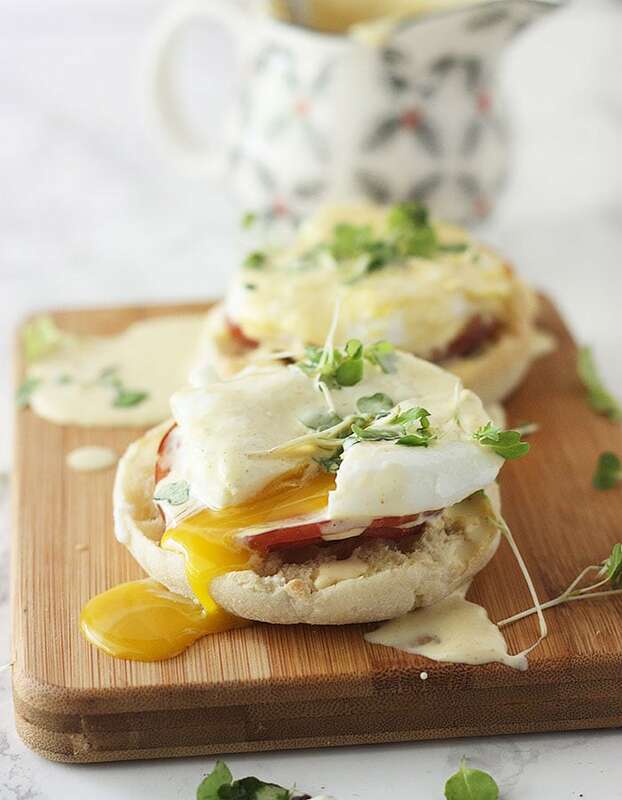 Easy Hollandaise sauce in the blender is ready in minutes and requires no whisking! 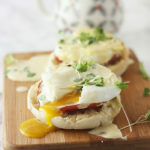 If you’ve ever enjoyed a relaxing Sunday brunch at a restaurant, no doubt you’ve come across Hollandaise sauce. 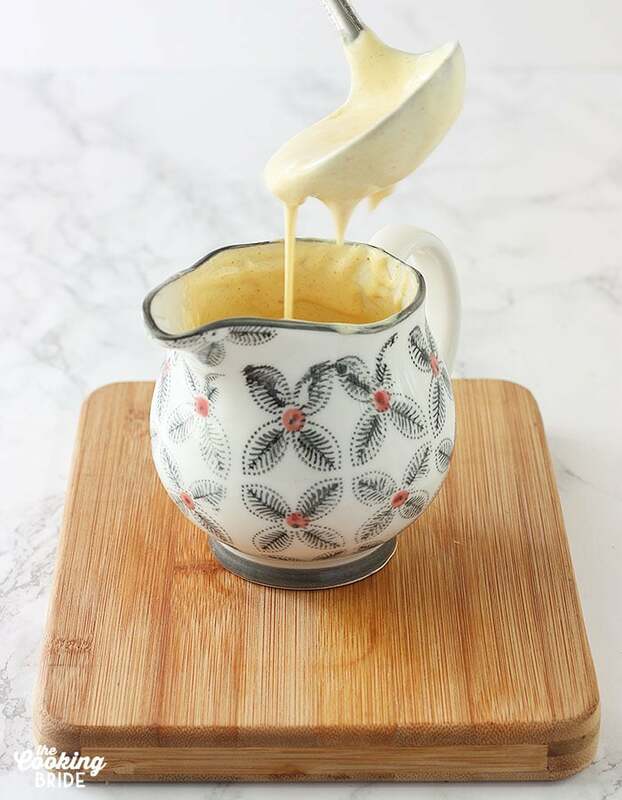 This pale yellow sauce is creamy in texture and commonly used in popular dishes such as eggs benedict of drizzled over steamed vegetables. Hollandaise sauce is Dutch in origin. 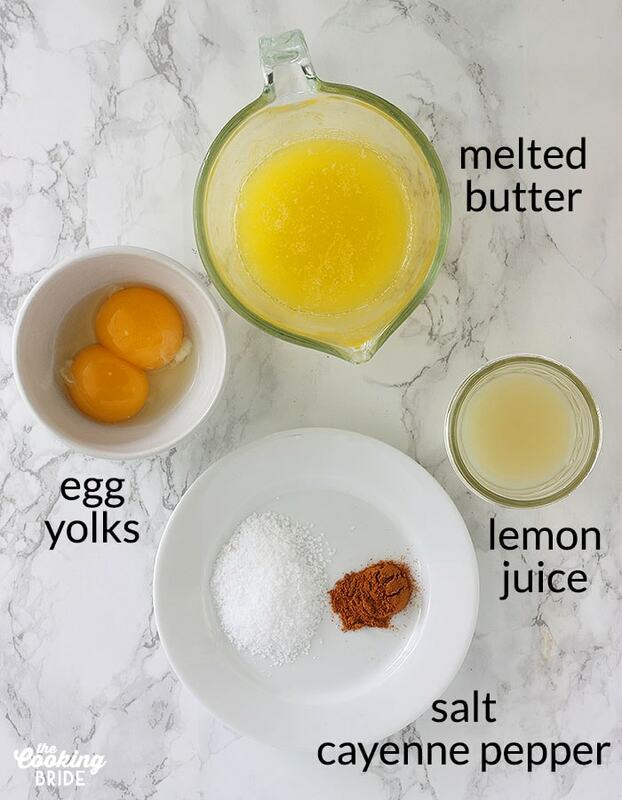 It is made by blending together egg yolks, melted butter, and lemon juice. You’ve heard the phrase “water and oil don’t mix.” Well, neither do butter and lemon juice. The eggs act as an emulsifier, meaning it acts as a binder for two ingredients that normally wouldn’t play nice together. Hollandaise sauce is considered a “mother sauce,” meaning it’s the inspiration for several popular variations. Traditional Hollandaise sauce is cooked very gently in a double boiler. And I think that’s how it earned its reputation for being temperamental and high maintenance. You really have to be conscious of your temperature – let the pan get too hot and you end up with scrambled eggs. Oh there is nothing more luscious than a runny egg and a toasted English muffin drizzled with Hollandaise sauce, am I right? But who has time to stand over a stove constantly tending to a sauce? With two kids running around, chances are high that I’m going to be interrupted in the midst of it and next thing I know, the sauce is ruined. It’s just too much trouble. 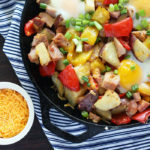 What if I told you that you could skip the added step of preparing Hollandaise sauce over the stove and whip up a quick and easy version in the blender within minutes. You might be motivated to treat yourself to brunch at home more often. The basic ingredients are simple – two egg yolks, unsalted butter, lemon juice (freshly squeezed or bottled – it’s up to you), and a little salt. I like to add a little sprinkle of cayenne pepper, but it’s not necessary. Start by melting your butter in the microwave. Then let it cool for a few minutes. You want it warm, but not hot. Add your egg yolks, salt and cayenne pepper (if using) to the blender. Turn your blender on low and process for about 30 seconds. You want the eggs thoroughly mixed and look a little pale in color. With the blender still running, pour in half the lemon juice and half the melted butter. Process for a few seconds, then repeat with the remaining butter and lemon juice. AND THAT’S IT! Give your sauce a little taste and add more salt if you like. If the sauce seems a bit thick, add a few teaspoons of hot water, a little at a time, until it reaches the consistency you’re looking for. 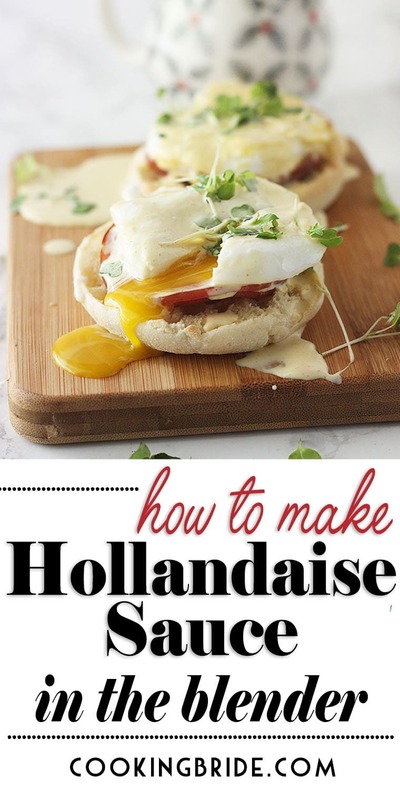 I love drizzling this easy Hollandaise sauce in the blender over Oven Baked Eggs. 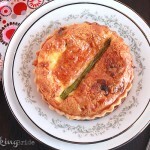 But it’s also perfect drizzled over steamed or roasted asparagus or baked salmon. Homemade Hollandaise sauce doesn't have to be intimidating. 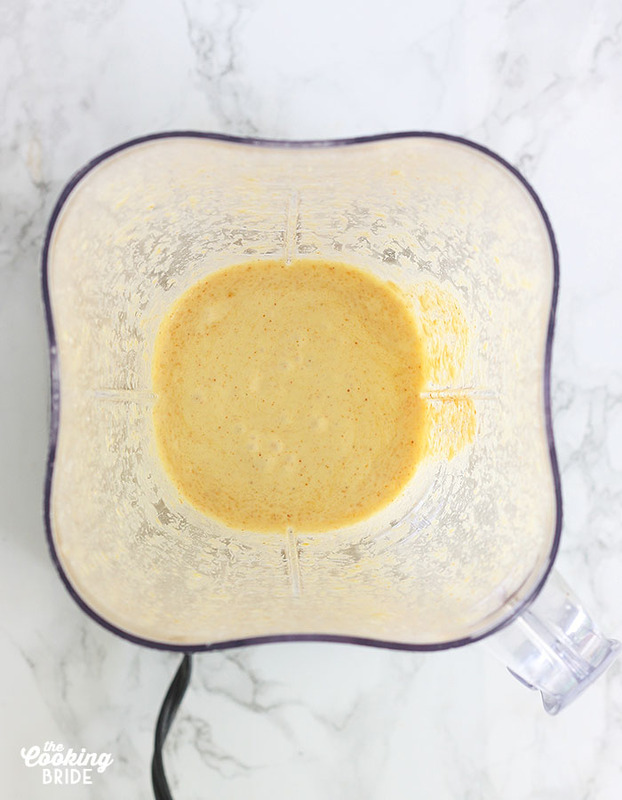 Easy Hollandaise sauce in the blender is ready in minutes and requires no whisking!